When we did it, we used a combination of NCSexpert, INPA, winFKP and winOLS. I'm not sure that ALL of these were needed, and it may have been done as a matter of convenience depending on which module we were working on at a given time. That sticky thread involves a lot of reading, but it does hold the answers to your questions! I can't see any reason you'd need WinOLS if you're using WinKFP to flash. 100% true. To further clarify, we did not use winkfp. Great DIY Swap thread! Needs to be Sticky! I love my SMG and never had issues thus far but this will be the route I take if she finally fails on me! There's a bunch of different ways of coding. I say read up and decided what you want to do. Also follow diys with a grain of salt, most of the time they are not exact and will require some figuring out. But all the answers are online. Just have to look. Winkfp is the fastest I've ever used for programming the dme. Exactly. The information is out there, but it's not something you would even want to mess with if you don't understand what you're actually doing. DIY guides should always be taken as guidelines, not as an excuse to do something without thinking. Thank you for the input, its always appreciated! To my surprise, the process that we used was able to retain previously customized settings. Awesome write up! This deserves to be a sticky! I will be making my car coding soon and I have searched the threads and what I understood until now is the following. I have to install a manual software in to my DME either by SSS or winkfp , I got the software number from another thread which was 7837779 and then I have to clear all adaptations either by DIS or Ncs expert. I'd really appreciate it if you can confirm the above or tell me if I'm missing something. Thank you in advance. Hay you should definetley use Carsoft to clear your adaptations...it's a lot easier if you have the program set up I can help you with the process! The major part of the battle is to make sure all the winkfp files are installed correctly. 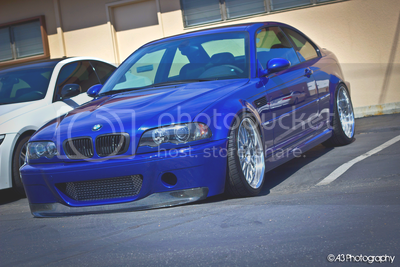 For me I have an 2002 mt m3 and that's the euro software it seems lke that I flashed to my car. All times are GMT. The time now is 08:56:47 AM.